Looking to turbo-charge your customer experience efforts? Well, we’ve hacked the web so you don’t have to. We keep this list constantly updated too. Here are our top 100 customer experience resources for anyone tasked with improving customer experience, customer service or customer satisfaction. This is what we watch. These are the people we follow. This is what gets mentioned by the people we respect. All lovingly curated by the Customer Thermometer team. Enjoy! Always straight-to-the-point Seth Godin gets to the heart of the customer experience issue in this thought-provoking post. Service recovery is so often the missing piece in your CX jigsaw, but here’s why it’s critical you tackle it. If there was a Tom Peters drum, we would beat it all day long. This article is so insightful but also offers a very neat way to help your team understand that that $20 sale is worth so much more. In our line of work, we often hear the words “but if I ask my customers how they feel, won’t they give me negative feedback?” Front line staff particularly can have this reaction, and this whitepaper helps you through a process of coaching your team to encourage and act on feedback. Gathering some of the best ideas from companies ranging from Goliaths down to Davids, this is the place to go for fresh ideas you can implement in your business or team today. It also showcases some really great customer experience stories to share with your team – loads of visuals included. The Harvard Business Review takes a dive into customer journeys and a realistic look at what it means to shift your culture to one that delivers exceptional journeys time and again. Writing in Forbes, Shep Hyken explains why many organisations fail to deliver great customer service. This is a chapter in Matt Watkinson’s excellent book “The Ten Principles Behind Great Customer Experiences”. A fascinating insight into the role of error and stress in customer experience. Amazon are the originators of digitally-driven customer experience. In this exclusive article, founder Jeff Bezos lays out how and why they do it. Temkin Group shows you how to go from “fluff” to “tough” with their epic 2014 Customer Experience infographic. One for the wall! Customers want to feel what they buy is authentic, but “Mass Customization” author Joseph Pine says selling authenticity is tough because, well, there’s no such thing. He talks about experiences that may be artificial but make millions anyway. John Gerzema says there’s an upside to the recent financial crisis — the opportunity for positive change. In this TED talk, he identifies four major cultural shifts driving new consumer behavior and shows how businesses are evolving to connect with thoughtful spending. Elizabeth Gilbert talks about the impossible things we’ve come to expect from artists and geniuses — and shares the radical idea that, instead of the rare person “being” a genius, all of us “have” a genius inside us. It’s a funny, personal and surprisingly moving talk well worth a listen. Nothing is original, says Kirby Ferguson, creator of “Everything is a Remix”. From Bob Dylan to Steve Jobs, he says our most celebrated creators borrow, steal and transform. Nilofer Merchant suggests a small idea that just might have a big impact on your life and health… Next time you have a one-on-one meeting, make it into a “walking meeting” — and let ideas flow while you walk and talk. One of Customer Thermometer’s big inspirations, Jason Fried, co-founder of 37 Signals, has a radical theory of working: that the office isn’t a good place to do it. In this talk, he lays out the main problems and offers three suggestions to make work work. How to succeed – get more sleep! Zendesk is one of the market leaders when it comes to managing customer service and experience. It’s an elegant system for dealing with inbound ticket requests from any channel — email, web, social, phone, or chat as well as being an easy way for users to help themselves, quickly find what they need, and minimize their frustration. 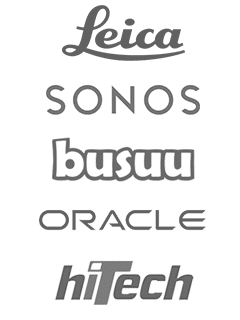 We’re proud to be partnering with them too! Desk, born out of Salesforce is nipping at the heels of many of the market leaders in this space now. Make your agents more productive, integrate with back-office systems, deliver lightning-fast service, and more. With dozens of resources to help you get started with your Helpdesk, they will be a force to be reckoned with in 2015. Oh, and they’re also one of our partners! Base are one of the new guys on the block and with over 5,000 customers signed up, they are going places. With seemless Outlook integration, they are very much focused on the sales professional to help drive sales within the enterprise. That said, they also work with plenty of small businesses too. One to watch for sure. Acquired by Zendesk, Zopim are one of the leaders in the ever-expanding chat marketplace. With integration into Zendesk, real ease of use and competitive pricing – we’re huge fans. Whilst not specific to CRM and customer experience, we’d like to recommend Administrate to anyone in the training space. A customer, friend and partner of Customer Thermometer, their CEO has given us great support in 2014. We love what they do and if you run a training business or department – you’d be foolish not to at least check them out. Having read Alex Turnbill’s excellent blog for many years, when we decided we needed more structure for our Ministry of Magic support, we turned to Groove. It’s simple and just works. We don’t like or need ‘complicated’ here at Customer Thermometer. Groove was implemented in hours, connects nicely to Slack and Airtable and is a core part of our business. Screensharing to solve customer problems and to present ideas is now an essential tool in business. We use screensharing literally every day and after having tried out many different applications, Uberconference gets our vote. It’s free for starters and more importantly, it’s incredibly rare that we get issues with customers not being able to connect. Try it. Taking on some of the big guys who only offer one feature, Hotfar is combining best of breed features and rolling them together at an unbeatable price. In their words: All in one Analytics and Feedback. See how visitors are really using your website, collect feedback and turn more visitors into customers. With Google Reader ‘dead’ for several years now, Feedly really is the way forward when it comes to collating personal content. RSS is still one of the most powerful knowldege gathering tools today. If you want to be on top of your game in the customer experience space, then you need to consume and share content. With Feedly and iOS apps like Mr Reader – your life is made a LOT easier. 1-click email surveys customers love. Real-time, actionable feedback from any email you send. No hassle for customers, great response rates for you. With Burberry and Apple on her CV, Angela knows a thing or two about customer experience. With posts on her LinkedIn profile including “ Why I believe energy can transform companies” she’s one to watch in order to create a customer-facing workforce. Dr Gottschalk helps companies introduce a new breed of workforce. As Director and thought-leadership specialist of a leading consultancy in the field she writes great content, including “Communication Hacks” and “Why We Hide From Feedback”. If you lead a customer service team, her insights are invaluable. McKinsey partner David Edleman thinks through every customer experience touchpoint in his LinkedIn content, from sales, marketing, strategy and content through to big data, customer touchpoints and agency relationships. Masses of food for thought. Brian specializes in the future of business. We especially value his insights into where marketing, customers and business meet. VP of a major ad agency, Nicolas understands customer experience and how to make it work for brands as well as customers. As co-founder of the Peppers & Rogers Group, Don wrote the One to One Future about marketing and customer service which is credited with having kickstarted the CRM revolution. As head of WPP, no-one has access to business leaders like Sir Martin Sorrell. Global trends, consumer behavior, great ideas… it’s all here. It’s worth dipping into this channel for a burst of innovation and inspiration in your day. There’s a new breed of entrepreneur looking to realise their dreams – those that want to succeed in business but also live a happy and balanced life. In this talk they highlight that more companies should focus on happiness as their primary goal, then watch as profits soar. Helge Tennø has collated 100 inspirational ideas around customer insight, strategy and execution over 18 months and put them into a single deck for everyone to enjoy. What if customers become friends? We are living in times where customer loyalty is decreasing. Is it possible to create a strong emotional relationship with your clients. Or even better: can you become Friends with your clients? This presentation describes the difficult road to friendship. It is about doing business with the heart and it is about involving people. Why do companies need to manage the entire customer experience? New analysis reveals that the entire customer journey – the series of interactions with a brand – is more important than any single touchpoint experience. Leading companies identify and effectively manage a few “key journeys.” When companies perfect managing the entire customer journey, they reap significant benefits—including enhanced customer and employee satisfaction, reduced customer churn, increased revenue, lower costs, improved organizational collaboration, and competitive advantage. Customer relations are in transformation. Pre-sales, sales & after sales are changing at high speed. Companies need to figure out the current customer journey, the role of self service, their data strategy and much more. In April 2014 there was a global study on the future of customer relationships. This deck describes the highlights of the study. 95% of customer behavior is driven by unconscious influences. Learn how to prevent a customer experience that tricks their brains into harming your brand. Why customers are getting smarter and how your company can avoid acting stupid. Presented at Visual Media 011 back in 2011 – but still relevant today. “The Thank You Effect” is an example of a small action that prompts meaningful next steps to measurably improve service in any company. In the author’s experience, there are a number of these small actions that when evangelized through a support team or through the larger company can really make a difference on the customer experience. 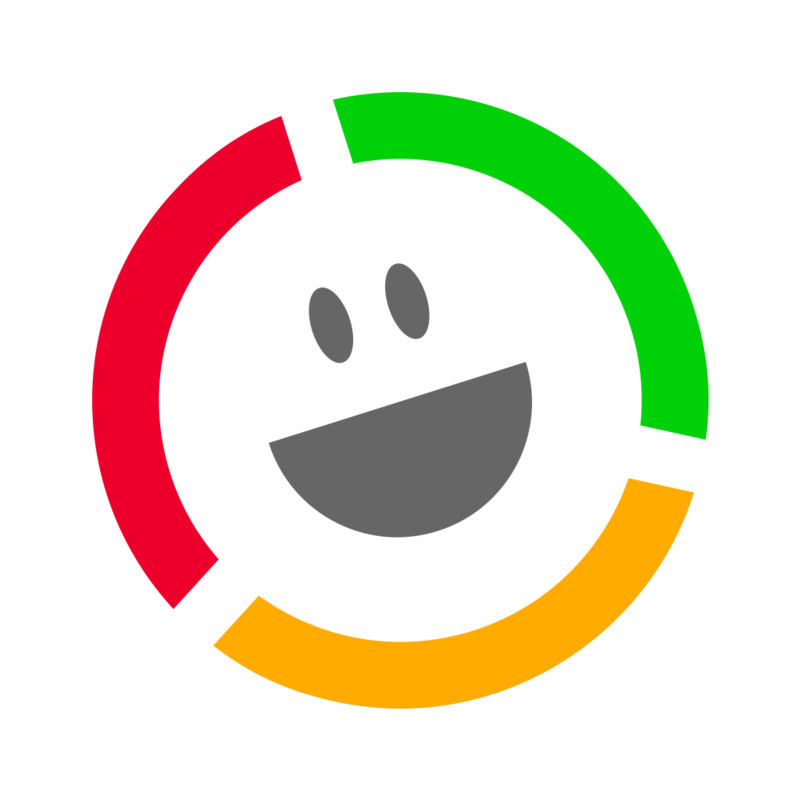 Get Satisfaction is an online customer engagement community platform connecting companies with their customers to foster relationships that unlock new value for both sides and take the customer-company engagement to a whole new place. Their blog is a must read for customer experience professionals. KISSmetrics is run by a team of designers, developers and entrepreneurs that are passionate about helping online businesses measure, grow and monetize. The team’s experience comes from previous ventures including ACS, Crazy Egg and Product Planner. As a result, the team has hands-on experience understanding and developing analytics solutions for high-end web properties. They are rampant publishers of their insight. Named as one of the 10 most influential online marketers, Jackie previously co-authored the award-winning Church of the Customer blog. With more than 105,000 daily readers, it’s ranked as one of the most popular business blogs in the world. Her work has frequently been featured in the media, such as the Wall Street Journal, the New York Times, BusinessWeek, and Advertising Age. She was a founding Board Member of the Word of Mouth Marketing Association. Temkin Group is a leading customer experience (CX) research and consulting firm. They help many of the world’s largest brands lead their transformational journeys towards customer-centricity and build loyalty by engaging the hearts and minds of their customers, employees, and partners. The Consumerist published by Consumer Reports, is a daily consumer advocacy site responding to the latest consumer news and trends. 1to1 Media is a leading online destination for customer strategy resources to help organizations optimize their customer experience and realize the greatest value from their customers. 1to1 Media provides resources including in-depth articles, infographics, blogs, webinars, and whitepapers that help senior executives to drive change and make customer-based initiatives the centerpiece of their strategies. Shep Hyken is the Chief Amazement Officer at Shepard Presentations, customer service expert, professional speaker and New York Times and Wall Street Journal bestselling business author. Shep works with companies who want to build loyal relationships with their customers and employees. He has been inducted into the National Speakers Association Hall of Fame for lifetime achievement in the speaking industry. CustomerThink is a global online community of business leaders striving to create profitable customer-centric enterprises. The site serves 80,000+ visitors per month from 200 countries. Main areas of coverage include Customer Relationship Management, Customer Experience Management and Social Business. This is the place to learn about every facet of customer-centric business management in articles, blogs, interviews, and news. Their ebook on the popup on the blog is well worth grabbing. Inc.com speaks for itself really. Such a tremendous resource and customer service as one of their many themes is well catered for. The Institute of Customer Service Annual Conference is the biggest forum for customer service thought leadership and best practice in the UK. The event draws hundreds of service professionals and business leaders together to learn from examples of global service excellence and share best practice. The Conference takes place alongside the UK Customer Satisfaction Awards 2018 ceremony. America’s #1 Customer experience conference, the Secret Service Summit, is the only event that brings together world-renowned speakers, as well as brand executives, from across industries, to give you 2 days of Customer experience education and training. Learn the secrets used by companies like The Ritz-Carlton, Hallmark, The Melting Pot, Nordstrom, Starbucks, Nestle, and change the world by creating a customer service revolution! Customer Care Conference & Expo is the most important East European event that addresses the customer care industry, with focus on strategic marketing insights. It provides an excellent opportunity to gain a broad overview regarding the customer care markets, from call centers and help desks to face to face contact possibilities with consumers. Join 250+ CEM leaders from across the globe who will come together at CEM Gobal Summit 2018 – the world’s largest gathering for the CEM in telecoms community. This forum will showcase the most comprehensive agenda in the market. Take part in 2 days and 30+ interactive debates, panel discussions, case studies and roundtables to dive deeper into issues such as employee engagement, self-service strategies, social networking and how to build that sought-after 360 degree view of your customers. Billed as “The Most Comprehensive Program for Contact Center Professionals“, this event in Orlando, looks great. There are 7 Learning Tracks including Executive Perspectives, over 30 case studies from industry leading brands and a masterminds program to help you build an action plan for your contact center. Our speakers are some of the greatest customer experience thought leaders alive today. They will shift your paradigms, challenge your assumptions, and spark new insights. Customer experience is a close-knit community of innovators. Meet new friends, trade business cards, and make the connections that will accelerate your career. We’re only human: long presentations put us to sleep. Our speakers have just 20 minutes to pack in as much discovery, innovation, data, and actionable insight as possible. Based on the extensive research we conducted with over 100 CEM professionals, the 8th Customer Experience Management 2015 event will cover the following key industry issues you’re all facing: Embracing the Digital Revolution to Meet your Customers Needs, Changing your Culture and Processes to Achieve Customer Centricity, Achieving Seamless Integration have a holistic View of the Customer. The digital era has arrived, marking a decisive shift in how your customers expect to engage with you. To thrive in this new environment, you need to deliver a richly intelligent, standout experience at every point of contact. At this summit we’ll take a practical look at how businesses of every stripe are leveraging the digital customer experience for gains and growth. You’ll learn how to: craft and execute a digital-era customer experience vision and strategy that spans the organization, implement the advanced analytics you need to better understand the customer, maximize the impact and effectiveness of new marketing and sales tools and capabilities and deliver digital-era service that turns customers into brand ambassadors. The Media Insights & Engagement Conference gives you an up-close, contextual view on the changing media experience to create better engagement strategies informed by actual viewing behaviors. This is your opportunity to explore the new world of multi-platform, hyper-viewing in the post-disrupted media landscape, advance new insights and create future partnerships. This event will feature powerful keynote addresses, engaging workshops, and valuable networking all aimed at sharing best practices to improve the way companies drive business success through customer insights and intelligence. We are developing a one of a kind program for the B-to-B Customer Experience Summit, with keynote presentations from executives and inspirational leaders, and entertainment designed for networking and sharing. Attendees will have a chance to pick from more than 25 different CX topics to discuss and explore, and the agenda will be filled with cases and practical insights for B-to-B customer intelligence leaders. A masterclass in dealing with customer questions, queries and complaints effectively and with soul. His Twitter profile goes under the moniker “nobody raves about average”. CX insights and links always worth clicking. Shep Hyken is the New York Times best selling author of The Cult of the Customer. His Twitter feed is prolific and thought-provoking. Xbox holds the Guinness World Record for most responsive Twitter account, having responded to over 5,000 questions in one week with an average response time of 2 minutes 42 seconds. Operators tweets using their initials, and their names are listed on a supporting page. Wrote the seminal “In search of excellence” and continues to be the grandfather of customer experience in our view. His Twitter feed is a hard-talking, kick up the proverbial that we all need to improve. More than 2m followers and growing fast. Adidas responds to all brand mentions and full of photos and interactions. Colin runs a customer experience consultancy and has written a number of books on the subject. Useful soundbites and great links. Micah is a customer service keynote speaker, customer experience consultant, author at Forbes.com – in short he lives and breathes customer experience. Kate is the People Skills Coach and a prolific Tweeter around the subjects of customer service, teamwork and change. Richard is the founder of the Center for Client Retention. Frankly, here at Customer Thermometer we don’t think there’s anything more important – which is why we recommend following Richard. “In a world of ever-increasing digital demands and shrinking budgets, CIOs need to be smarter with where they place their bets. Successful CIOs will improve collaboration with business leaders to craft superior customer experiences.” quote from Dane Anderson, Vice President, Research Director, Region Manager for Asia Pacific. With a raft of statistics which might be very useful to you in your next presentation, the annual Top 10 Predictions reports provide an outlook on the IT market, across industries, in the coming year. During the next 90 days, IDC will publish Top 10 Predictions documents for this year, so something to bookmark for sure. It’s not all about customer experience – sometimes, just understanding where economics is likely to head can provide inspiration for what to look at next. Stay ahead of the curve – this is a great 2 minute piece. Headline speaks for itself really. Customer experience and customer service, not to mention customer satisfaction constantly has to reinvent itself to take advantage of what technology can offer. On the flip side and perhaps more importantly, keeping up with how customers expect to interact with you is just us important. Don’t get left behind. Rumours in the valley – there will be blood! Doom and gloom for sure – but interesting nonetheless! 11 experts give their view. Forbes takes a look at how you’ll likely see forward thinking businesses responding to customers during 2017. We couldn’t really assemble a trends list without mentioning the TrendWatching.com guys. As they point at the start of this mammoth article – it’s not about the trends – it’s about the opportunities… Food for thought there. The 2017 Trend Report is TrendHunter’s flagship trend report, featuring the most cutting edge ideas across all the industries that they study. It’s used by companies like Samsung, Pepsico, Target, and Mattel when they need to kick-start their innovation. We therefore probably shouldn’t ignore it. And finally, we love Fortune magazine. Whilst this set of predictions is a little off topic – you can’t ignore it – fascinating read. #5 | Client satisfaction surveys – should you do them? Alex Turnbull nails it with the GrooveHQ startup blog in 2014. An amazing resource and truly inspiring to a startup founder. Tim Ferris hacks ideas, systems and the status quo. He understands and picks apart what excellence is, like no-one else. One of the only blogs and podcasts I regularly follow, full of epiphany. If you’ve never read Tim Urban’s awesomeness before – now is the time to start. An incredible writer who takes the simplest of subjects and well, just makes hours of your life disappear. His first article on Elon Musk will get you started. And possibly adicted. Not really about selling at all but about how to get things done. Debunks all those excuses you tell yourself. Reminds me always of the quote “The only excuses are the ones you give yourself”. Fascinating read – and it’s informed my personal objectives for the year. It’s all about positive attitude, but in a very practical way (I’m not so good at theory) Whenever I find myself getting frustrated, I remind myself of the book. For £0.99 it is literally the best 99 pence you’ll ever spend. Crowdsourced genius. Totally addicted to this now. So important to keep uptodate with what’s going on around us. There is no better place. An astonishing adventure story about the first man to cross the Atlantic in a plane. This biography’s unrelenting focus on his mission whilst retaining a humble and level-headed narrative really helps you understand how great people tick. It’s so easy to hide from challenges and not even realize you’re doing it. Holiday’s book sweeps that away and explains why you should tackle your obstacles and how you will live better for it. All about how to bake great customer experiences into every interaction. Read this more than a decade ago now, and it still inspires me to this day. Customer Thermometer owes nothing to anyone and has been profitable from day one. With no external investment, we’ve worked hard to create a business by boostrapping from day one. This brilliant aggregation site brings together multiple articles every day on how others are doing the same. We hope you enjoyed our list of customer experience resources – if you did – we’d be so grateful if you shared it.